These democrat politicians want nothing less than to disrupt President Trump leading into the 2020 elections. They have nothing better to campaign for except infanticide, unrestricted immigration, higher taxes and national security weakness. At the same time, if they can obfuscate the facts around Obama’s meddling in the 2016 elections and Clinton’s criminal acts, they will insure none of those traitors are brought to justice. 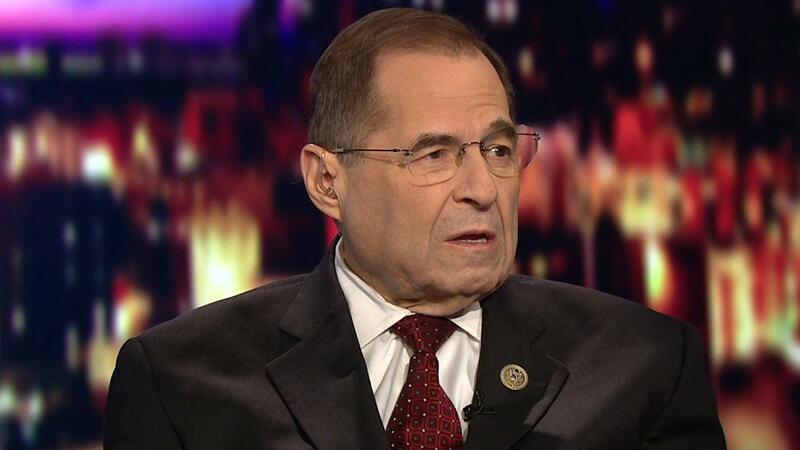 Look no further than your mirror, Nadler. It’s YOU! “WE HAVE TO LOOK FOR.. etc etc….” The words of a peabrain… you do not have to, its already done… One must ask who elected these clowns into a position of responsibility, and all they choose to do is fabricate more witch hunts. It’s time they got off that track and did something useful, just for a change.. These idiots certainly give the journalists enough fodder to thrive. And I believe they were looking for any impeachable offense. Despicable. DOESN’T THIS GUY REALIZE THE DEMS ARE PLAYING RIGHT INTO PUTIN’S HAND? RUSSIA WANTED TO CREATE DECISIVENESS AND HE IS DOING A GOOD JOB WITH THOSE DEMS. Raise your hand if you feel more proposed nut wards need to be funded under the “Democrat’s Heaven” act.